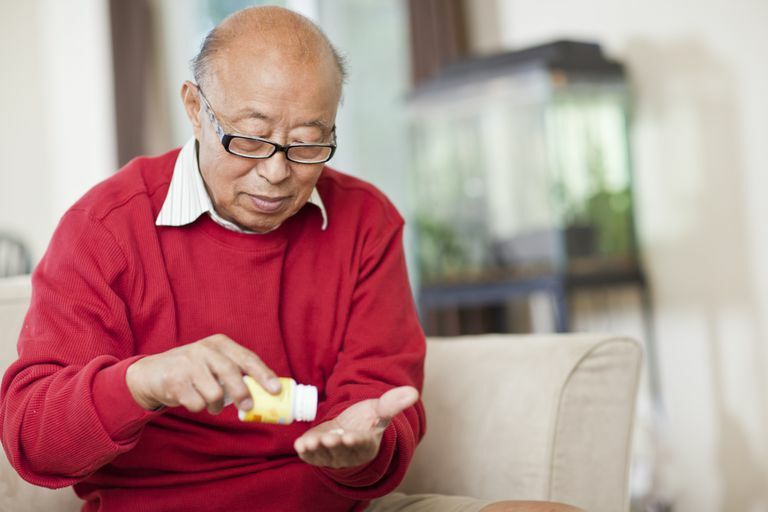 Some rheumatoid arthritis patients are alarmed when they are prescribed methotrexate. The drug is known to be a chemotherapy drug used to treat cancer. But, is it accurate to classify or consider methotrexate a chemotherapy drug when it is prescribed for rheumatoid arthritis? Perhaps this seems like a non-essential question to some, but if a misconception causes unnecessary fear or keeps patients from using a drug that may help them, the question is indeed important. Let's consider the facts. More than 50 years ago, methotrexate was introduced as a treatment for cancer because of its antiproliferative effects. Over the last 25 years or so, the drug has been commonly used as a disease-modifying anti-rheumatic drug (DMARD) to treat rheumatoid arthritis and certain other rheumatic diseases. Methotrexate is actually considered the gold standard treatment, or drug of choice, in the treatment of rheumatoid arthritis. According to a chapter on DMARDs in the book, Rheumatoid Arthritis: Early Diagnosis and Treatment, "Its popularity rests with its ease of use (oral or subcutaneous, weekly dosing), well-defined toxicities, rapid onset of clinical benefits (usually within 6 to 8 weeks), durability, low cost, additive benefits when combined with other DMARD regimens, and its ability to retard radiographic damage." The aforementioned toxicities are thought to be related to the inhibition of dihydrofolate reductase and folic acid production. When used as a DMARD, the benefits of methotrexate appear related to the induction of adenosine, however, which is a known anti-inflammatory mediator. To ameliorate the effect of methotrexate on folic acid production, daily supplementation with folic acid is part of the usual regimen for rheumatic disease patients. When used as a chemotherapy agent, methotrexate prevents cells from using folate to make DNA and RNA, thereby slowing the growth of cancer cells. When used as a chemo drug, methotrexate is given in medium to high doses. The dose is determined by the patient's size, the type of cancer being treated, and kidney function. Doses greater than or equal to 500mg/m2 are considered high, while doses 50 to 500 mg/m2 are intermediate. Low dose is considered under 50 mg/m2. When methotrexate is used to treat rheumatoid arthritis, the dose is considered low — usually starting at 7.5 to 10 mg/week. If needed, the dose can be increased incrementally up to a maximum of 25 mg/week. If side effects or toxicities do develop, it is felt that dose reduction or a switch from oral to injectable methotrexate can manage the issues. Routine blood tests are also performed on patients taking methotrexate (complete blood count, liver and kidney profiles) to detect problems early so that adjustments can be made. If rare, serious adverse events develop, discontinuation of methotrexate would be necessary. When asked for a comment about whether methotrexate is to be feared because it is used as chemotherapy, rheumatologist Scott J. Zashin, M.D. (www.scottzashinmd.com/) replied, "While methotrexate in high doses may be used for chemo, rheumatologists use low dose methotrexate due to its anti-inflammatory properties. It is not uncommon for a pharmacist to flag a potential drug interaction between NSAIDs (a common therapy for rheumatoid arthritis) and methotrexate but there is not felt to be a clinically significant interaction with the low dose of the medication used for rheumatoid arthritis. Patients should remember, too, that the medication is prescribed to be taken only once weekly to limit potential side effects." Rheumatoid Arthritis: Early Diagnosis and Treatment. Cush, Weinblatt, and Kavanaugh. Third Edition. Chapter 11 - Disease-Modifying Antirheumatic Drugs. Therapeutic Use and Toxicity of High-Dose Methotrexate. Ann S. LaCasce, MD. UpToDate. Reviewed November 2013. Methotrexate. American Cancer Society. 12/29/2011.